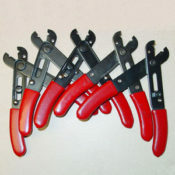 View cart “Wire Strippers Set of 5” has been added to your cart. Catalog number BT-01. 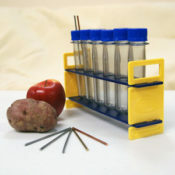 Designed for the Everyday Stuff Battery Lab in Unit 1. Introduction to Electricity of the Exploring Physics Curriculum App. 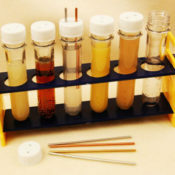 The Battery Experiment classroom set for 10 students also available. 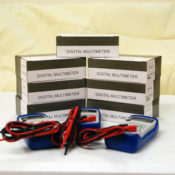 Digital multimeters are available from several vendors. Catalog number PZB-01. Our unique Puzzle Board is used for several activities in eUnit 1 Introduction to Electricity of the Exploring Physics Curriculum App. While introducing the concepts of contact points, closed circuits, the direction of flow of current, and modern devices such as light-emitting devices and photoresistors, it also functions as a classroom-management tool. A classroom set of 10 Puzzle Board kits is also available. Additional wire strippers are sold separately. Catalog number B40-CS. 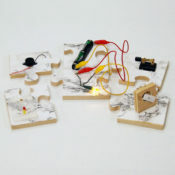 The Expander kit complements the Puzzle Boards Classroom Set, and is designed for ten groups of students. It provides you materials to add on two more activities to Unit 1. 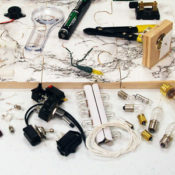 Introduction to Electricity in the Exploring Physics Curriculum App: A Battery, a Bulb and a wire, and Bulbs and Switches Lab (Part 2). 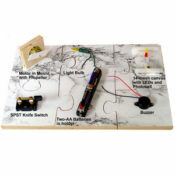 Note that the Puzzle Board Classroom Set and the Expander Kit together constitute the Batteries, Bulbs and Switches Kit. Catalog number BT-CS. 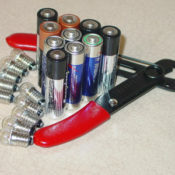 A classroom set of kits for the Everyday Stuff Battery Lab in Unit 1. Introduction to Electricity of the Exploring Physics Curriculum App.